The need to run ads on Facebook is pretty much universal at this point. Brands today are running brilliant campaigns across all industries, with a staggering 93% of social marketers tapping into Facebook’s robust paid ad platform at the moment. From the insane creative freedom that Facebook offers to the ability to laser-target specific demographics, it’s no secret why these ads continue to boom. But this boom signals a pressing issue for those running ads on Facebook. That is, the need to optimize and go beyond the basics. 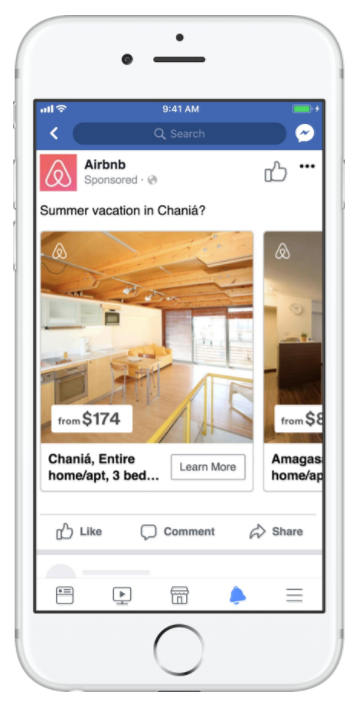 With the updated Facebook algorithm prioritizing paid content over organic reach, competition in the ads space is only going to continue to ramp up. As a result, you need to make each and every cent of your ad spend count. Better targeting. Compelling creatives. The works. Even the most subtle aspects of your ads will not only impact your clicks, but your ad’s potential to be seen at all. 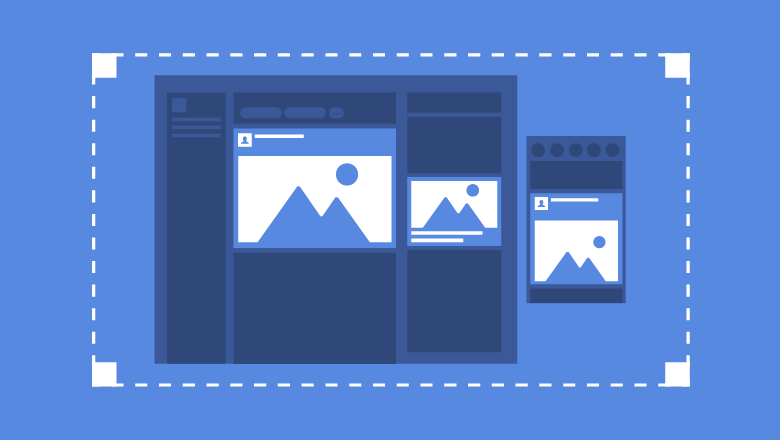 If you’re already running ads on Facebook but want to step up your game, we’ve got you covered. In this guide, we’re going to break down some crucial tips for fine-tuning your ads for maximum reach and engagement. When it comes to ads on Facebook, targeting is everything. That’s not hyperbole, either. Proper targeting can dramatically reduce your CPC versus ads that sort of “guess” at who’ll be most interested in your content. And sure, you might know your target audience and personas in a broader sense. But “broader” doesn’t mean better in terms of ad clicks. Filling in the blanks of your demographics is a solid starting point, but only if you’re filling in the details of people most likely to interact with your business. That’s why taking a good look at your Audience Insights before running an ad is a must-do. These data points can clue you in on key details without the guessing game. Of course, the best way to refine your audience is by creating a Custom Audience that targets everyone from current customers to bounced traffic on your site. Facebook cites a number of success stories of brands who managed to do everything from see a 28x ROI from their ad spend to grow their audience by over 50%. The takeaway? Brands should base their audiences on existing leads if they want the best possible results from their ads on Facebook. Which leads us right into our next point, actually. Remarketing is the bread and butter of brands killing it on Facebook. Consider that people crave personalized marketing messages, especially if they’ve interacted with your business in the past. In fact, 63% of consumers note that they’re “annoyed” by generic marketing and that same percentage gives props to brands that craft messages that speak to them. Couple this with the fact that the more positive impressions you make on your leads, the more likely they are to eventually convert. Through effective remarketing, you can make those impressions count. This spells good news as people are more likely to remember your brand when you pop up in their feeds, but it also highlights that segmentation is an expectation. People know you have the power to personalize, so why aren’t you doing it? Uploading your current list based on email opt-ins and existing customer data represents the audience who’s arguably most likely to interact with your ads. Don’t let the initial legwork fool you: you can upload your list en masse and Facebook will churn out your audience in no time. Another added bonus of uploading your email list is that you can create a similar Lookalike Audience of fresh leads that are nearly identical to your existing customers. Remarketing to traffic from your site is a game-changer for brands who’ve never experimented with it. 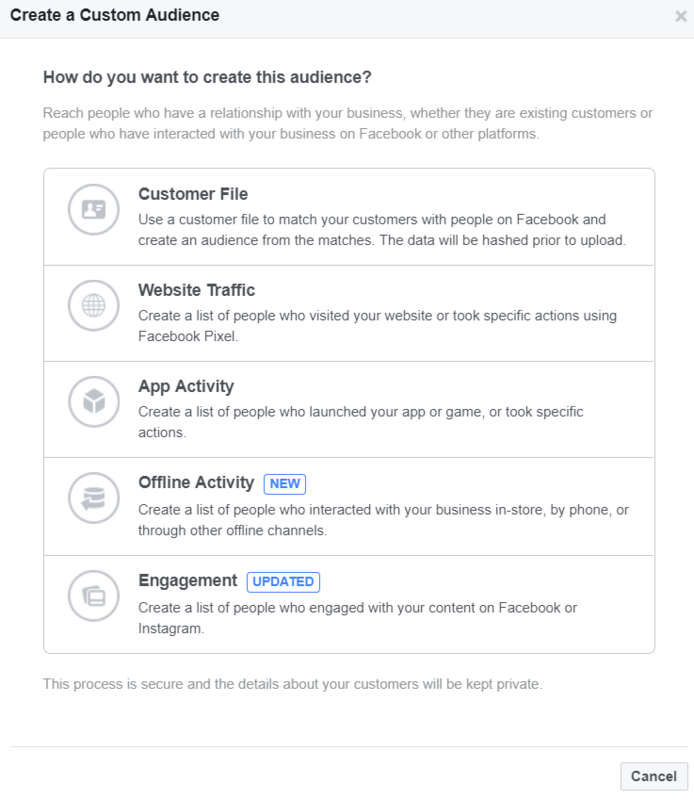 Facebook allows you to get as specific as targeting visitors to specific pages of your site or people who spent a certain amount of time on a page. Such parameters are perfect for targeted deals and discounts for people who almost converted, but need an extra push. 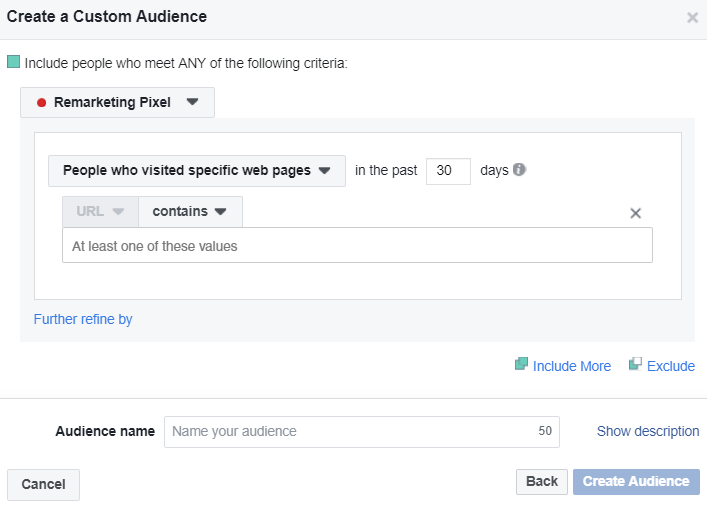 Oh, and you can learn more about installing the Pixel on-site in our quick guide to Facebook remarketing. 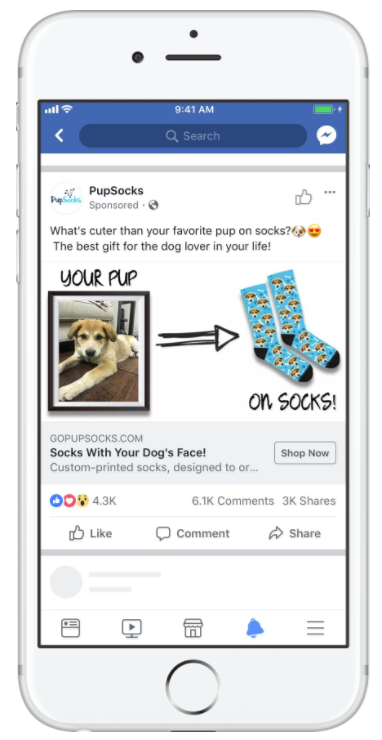 Just how granular you get is totally up to you, but this gives you a taste of just how targeted your ads on Facebook can be. Conventional wisdom tells us the more targeted, the better. Facebook funnels have become integral to many brands’ overall marketing strategies, but not all ads on Facebook are created equal. In terms of creatives and messaging, consider the following pointers for the types of ads that will encourage people to actually convert when the time comes. When your ad that screams “BUY NOW!” is sandwiched between two personal Facebook posts in someone’s feed, it’s going to stick out like a sore thumb. Ideally, your ads shouldn’t feel too much like ads. While there’s nothing wrong with deals and discounts, subtly typically scores more points with users rather than in-your-face offers. There’s a reason why education-based ads for webinars, case studies and reports are so popular, for example. And if you are promoting a discount or product, consider how you can approach it as something humorous or helpful versus a hard sell. Don’t neglect the power of your creatives when it comes to your Facebook ads. If you’re experimenting with eye-popping photography rather than generic stock photos, you’re already ahead of the curve. That said, consider implementing some trust-building creatives in the form of user-generated content. Customer photos and testimonials represent powerful marketing tools, especially given that UGC ads result in higher conversion rates. If you have satisfied customers, you might want to think about using them as part of your next campaign. It really can’t be said enough how important it is to segment your audiences. So many brands run ads on Facebook if for no other reason than the fact that you can avoid one-size-fits-all marketing messages. Want to create an ad for someone who abandoned their shopping cart? Check. Interested in tailoring a campaign for someone who landed on a specific blog post? You can do that, too. Creating ads that speak to specific audiences represents the building blocks of a top-tier funnel that actually converts. If the wheels are spinning in your head and you’re having trouble zeroing in on a single set of variables for your next ad, don’t panic. Just as you’d split test your copy and creatives for a landing page or email, Facebook ads should likewise be tested. The good news? 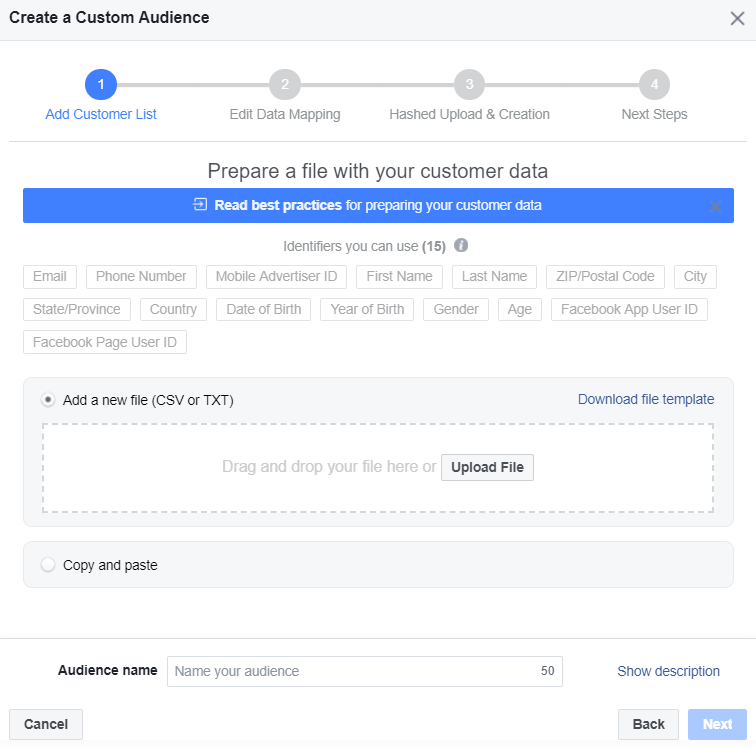 It’s easier than ever to split test your ads on Facebook. Gone are the days where you’re stuck running a million different campaigns in pursuit of a proper test as Facebook basically manages the grunt work for you. 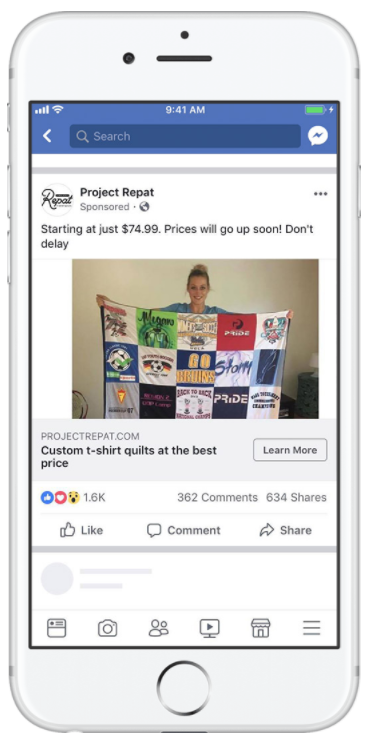 Using a variety of creatives, Facebook’s split testing experiments with factors including your ad placement, audiences and goals. 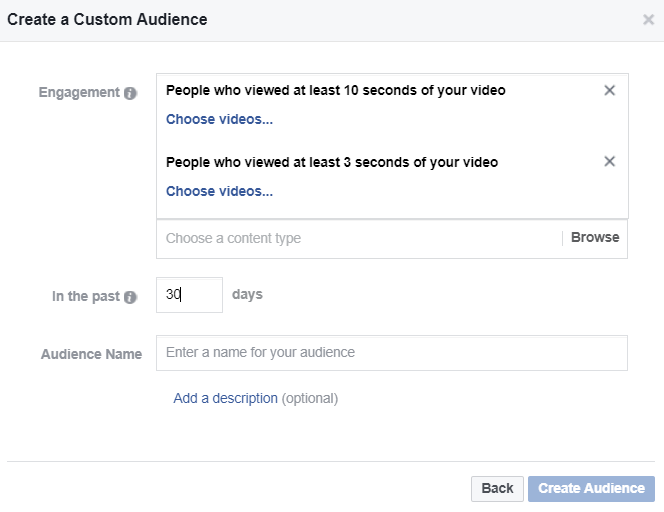 For example, Facebook can stack your video ad versus a carousel. By testing one variable at a time, you can zero in on the best ads possible over time. Last but not least, let’s briefly talk about, ironically enough, one of the first pieces of creating a Facebook ad. While choosing your objective may not seem like a big deal, this element of your ads basically sets the stage for optimization. And yeah, while we all want people to see our ads, goals vary from business to business. 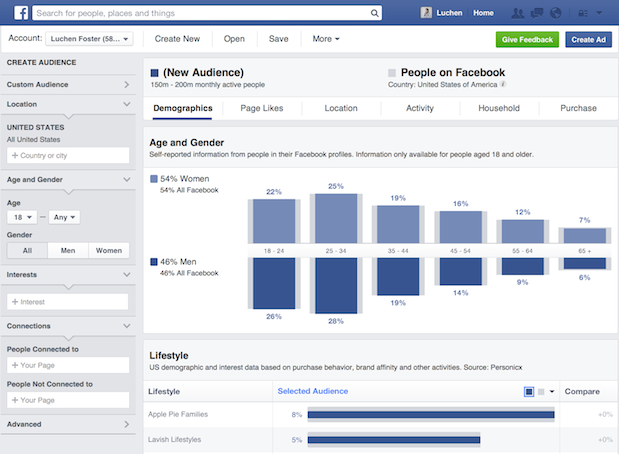 Is the purpose of your Facebook ad campaign to drive traffic to your site? Your store? Do you simply want to boost your latest post? You can also choose the objective to get more messages on Facebook. If you opt for this, you can use a Facebook Chatbot to respond to inbound messages. Since choosing the wrong goal could potentially cause you to spend unnecessary money on your ad or otherwise hamper your reach, it makes sense to get your ads off on the right foot, doesn’t it? What Do Your Ads on Facebook Look Like? 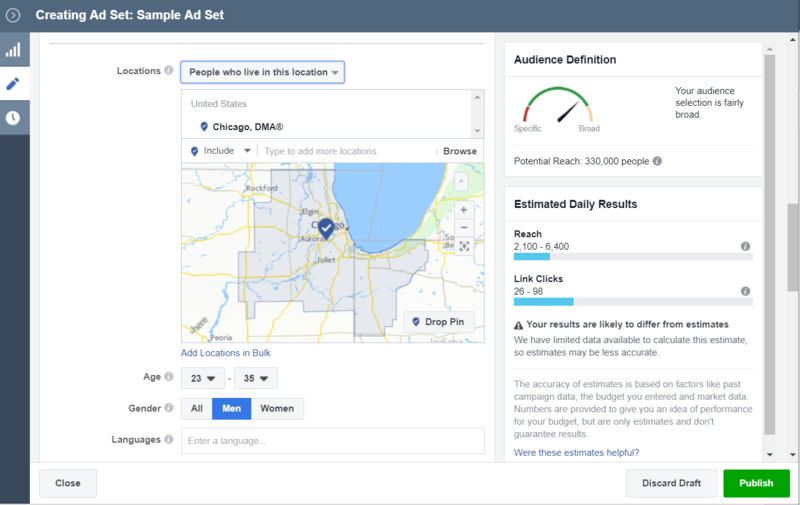 Running effective Facebook campaigns means putting each and every piece of your ad under a microscope. With so much competition coming into the Facebook ad space, those who put in the effort to optimize their ads have the most to gain. We want to hear from you, though: what do you find works best in terms of ads on Facebook? Any questions or concerns you want to know more about? Let us know in the comments below!